Successfully Added Massive 120GB HDD PMP with DVR + Camera to your Shopping Cart. 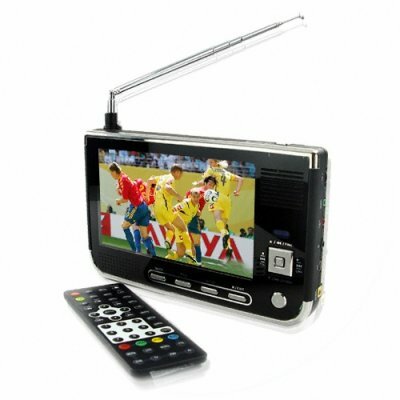 Sometimes you just run out of time and can't get home to see the big sports game or that movie you'd been planning to see for ages, wouldn't it be great if you could always carry your TV around with you? You can with this multifunction DVR PMP. Easily capable of recording DVB-T television and encoding to DIVX or AVI this unit is a true powerhouse. With the supplied 120GB Hitachi hard drive you'll always have plenty of space to record TV, record from an AV input and even use the built in DV camera. Simply load it up and carry around a big selection of your favourite shows, your music collection and even a back up of the family photos ready for watching, listening or viewing wherever and whenever you want. This awesome PMP also features scheduling, remote control, teletext and support for all the major video formats most notably DIVX and Xvid, purchase today at great wholesale prices and sell tomorrow for even better profits and you'll never need to worry about shipping if you use Chinavasions outstanding drop shipping service..